The Russian cartoon series Nu Pogodi! 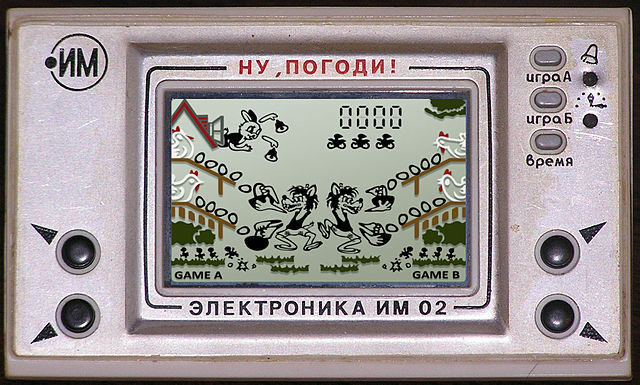 has often been called Russia’s answer to the classic US cartoons from the 1940s, distributed into the USSR for a short period after World War II. First produced in 1969, the Nu Pogodi! series defined the art of cartoons for generations of children not only in Russia but in several countries in Eastern Europe. A classic catch-me-if-you-can story, Nu Pogodi! follows the bad guy wolf who desperately tries to hunt down the hare hero. Based on the cartoon series a lot of games have been released, including this one. The aim of the game is to catch the eggs before they fall and hatch.